As we strive to be positive in our life, we need to observe our body weight as well. Studies has shown that obesity is causing the economy time and money as well as productivity. If we can look into obesity reduction, imagine the things that can be change. In order to achieve a healthy weight, it is important to first understand the dangers of obesity. 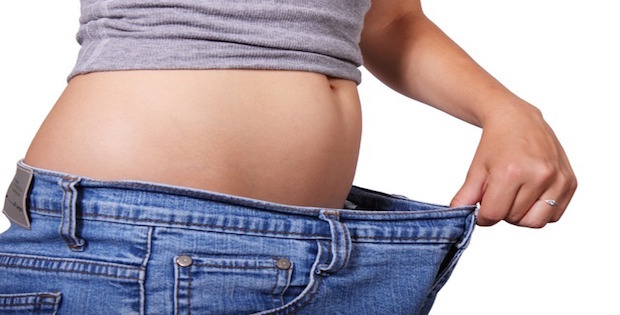 Obesity is a condition in which excess body fat accumulates and puts you at risk of a variety of health problems. This excess fat may reduce life expectancy and increase the risk of other health problems – so it is vital to maintain a healthy weight. Losing weight does not happen overnight. Fad diets and quick weight-loss fixes are not sustainable in the long-term and may be harmful to your body. A good, healthy weight loss programme should adopt the concept of energy balance as its guiding principle. To lose weight, your body needs to burn more calories than you consume. This can be achieved through a balanced diet and regular physical activity. If your BMI is 23 kg/m2 and above, losing 10 – 15% of your current body weight over 6 months at a rate of 0.5kg -1 kg a week is a healthy target. A good weight management plan should also include regular monitoring of your progress and maintenance of the weight loss in the long-term. Reviewing your progress can help you identify what things you have done well and what things you struggle with. For example, you may be doing at least 150 minutes of moderate intensity aerobic activity per week but find it difficult to make healthier meal choices. Knowing this can help you reassess your action plan. You should also regularly review your goals to see if they are realistic. Not everyone follows the same weight loss pattern so you may have to adjust your target in order to reach your goal.To keep track of your caloric intake, you can download the Mobile Diet Tracker to find out the caloric content of common food in Singapore. 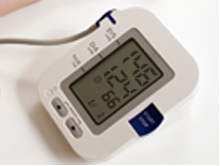 It can also help to calculate your personal calorie requirements. 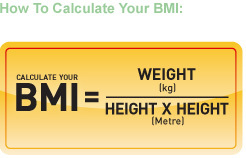 Know your BMI. 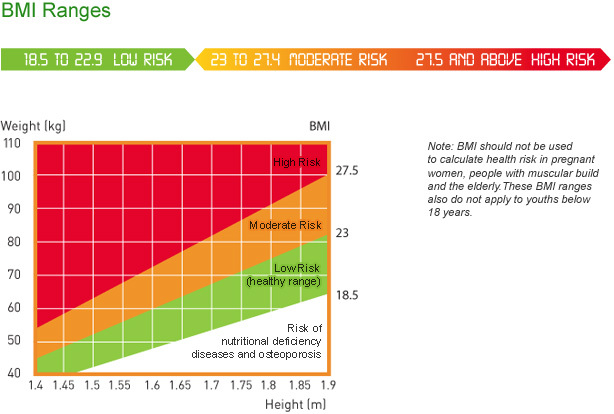 Obesity put you at risk for many diseases. The basics of a healthy, successful weight management programme lie in making it a lifestyle, setting SMART goals and monitoring your progress. In conclusion, having a healthy weight and cutting down on obesity will bring you much more benefits than staying obese. See How This Chinese Guy Stop His Studies To Build His Medical Empire!